Website Security is a must for your Mobiles and tablets as our phones are not just phones anymore. That ‘phone’ that you use to stay in touch with people is actually a little computer containing valuable information about you, your family, your friends, and your life. Can you imagine losing your mobile device? Or, what if your mobile device or tablet is attacked by a virus or a phone phishing attack? 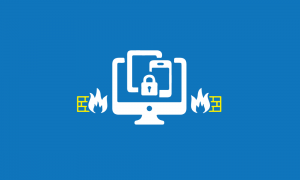 Because many daily activities were previously done on your PC, the information on your mobile device is now as critical and confidential as data on your laptop or desktop. It’s time to start thinking about protection beyond the PC. People are using their mobile devices for so much more than just talking to each other. Maybe you’re one of them. Maybe you use your mobile device to pay your bills, check your email, get driving directions, check on retail discounts, download coupons, purchase movie tickets, check on the weather, book an airline flight, and who knows what else? With the applications that are available for your mobile device, there are endless possibilities when it comes to making your life easier. To many people, mobile devices are a lifeline to work, family, and social lives. Moms and dads use them to stay in touch with their kids; executives use them for everything from booking appointments to tracking stock prices; and business owners use them to help track inventory and stay in touch with their workers, their business partners, and their customers. It’s never ending. You might have banking and insurance data, private contacts, and a lot of personal and business information that you use on a daily basis residing right there on your phone. Phones are not immune to ‘phishing’ attacks. Your mobile device is literally a computer. And just like your desktop or laptop at home and at work, smart phones are susceptible to threats, viruses, and attacks. You should already know that when using the Internet on your mobile device, don’t click on any unknown links. In fact, you should adhere to the same website vigilance that you would practice on any other computer. You can easily click on a fraudulent link that can take you to a website designed to fool you into revealing personal information that can be used to steal your money, your identity or both.